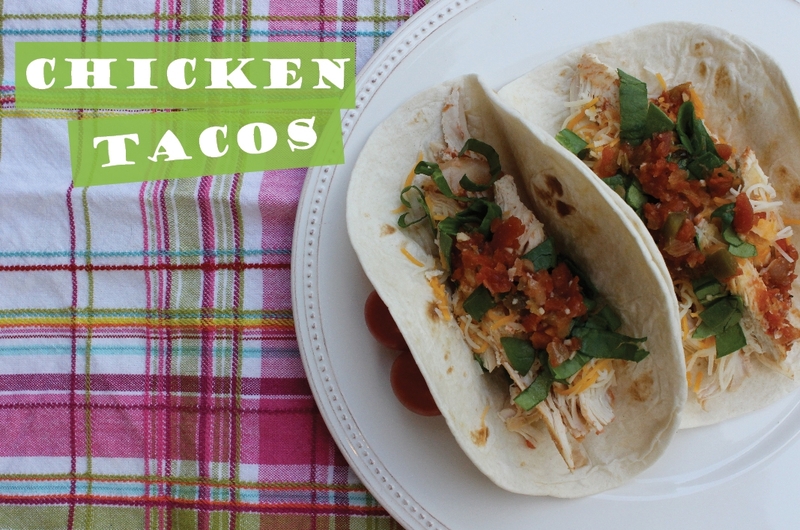 With Cinco de Mayo approaching, I decided to experiment and come up with a quick and easy recipe for chicken tacos. Forget about the mass amount of prep time, this no fuss dish is deliciously easy-peasy. 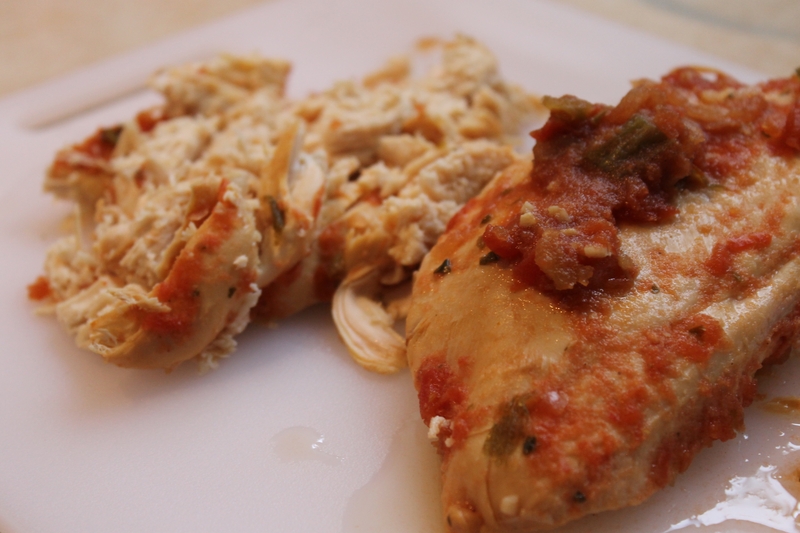 Place chicken breast and cover with salsa, garlic, cumin and lemon juice in a slow cooker on low. Cook for 6-8 hours, checking every few hours. When removing the chicken from crockpot, make sure you have a landing space. The chicken will be moist and falling apart. Shred with fork. 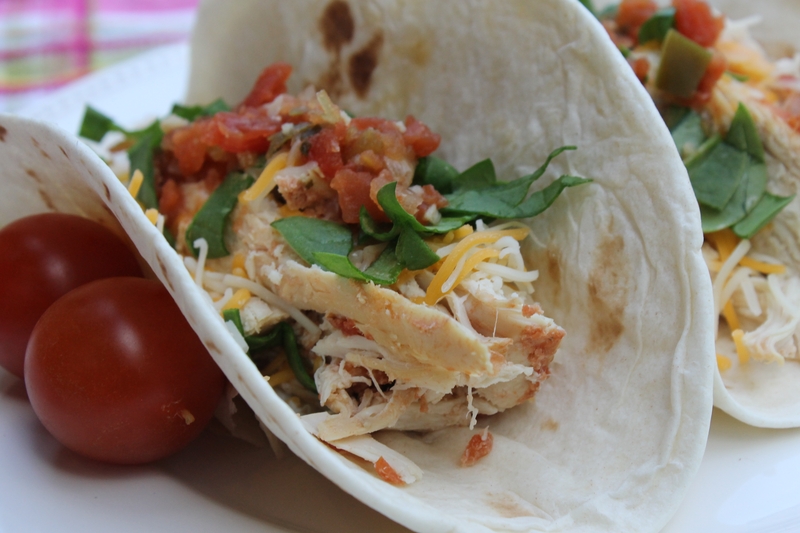 Place in tortillas, garish with toppings and enjoy. Be sure to spoon some of the left over salsa from the crockpot on top. ← in the drawer :: make-up essentials. That looks delicious Maddie, I WILL be making this a few days from now. Love, love, love this…………Maddie I have a really good recipe for gluten-free peanut butter choc chip cookies if you are interested. Let me know. I would LOVE that recipe. I made gluten free chocolate chip cookies over the weekend, and will have that recipe up next week. Would enjoy trying my hand at your cookies. You can email me at: maddie@cityinajar.com. Thank you! Wow, lovely recipe – and so hands-off and easy. Definitely going on the menu this week, thanks! This sounds awesome!!! Can’t wait to try!! My friend at work just did something similar but just jar of salsa, packet of taco seasoning and the chicken. Love the addition of lemon and cumin!! Is the chicken you use frozen? Just curious. Thanks and yay!! Great question! I’m going to amend the recipe because of it. I used thawed chicken. So, NO to frozen! This sounds fantastic and one of my favorite things : easy!! Had to share! Yummm.. am totally going to make these this weekend! Thanks, Maddie! Shoeternity // Our Style Blog // cinco essentials for cinco de mayo.